Mr. Phillips is originally from Steubenville, Ohio. In his 30+ years as an attorney in the Columbus area, he has primarily practiced law in the areas of business law and family law. His business law practice currently involves the creation of businesses, the purchase and/or sale of businesses, the resolution of employment issues, the drafting and negotiating of commercial leases, the general representation of skilled professionals (physicians, dentists) and litigating business disputes including evictions. 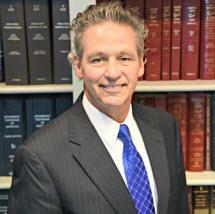 Mr. Phillips has also represented clients in tax disputes with the IRS. While currently focusing his practice in the area of business law and real estate (both residential and commercial), Mr. Phillips has also practiced extensively in the areas of probate administration and estate planning, residential and commercial real estate, domestic relations (divorces, dissolutions, post-decree matters) and adoptions.